Andromeda be damned, people still seem to prefer cosplaying as the original Mass Effect characters. Garrus especially. 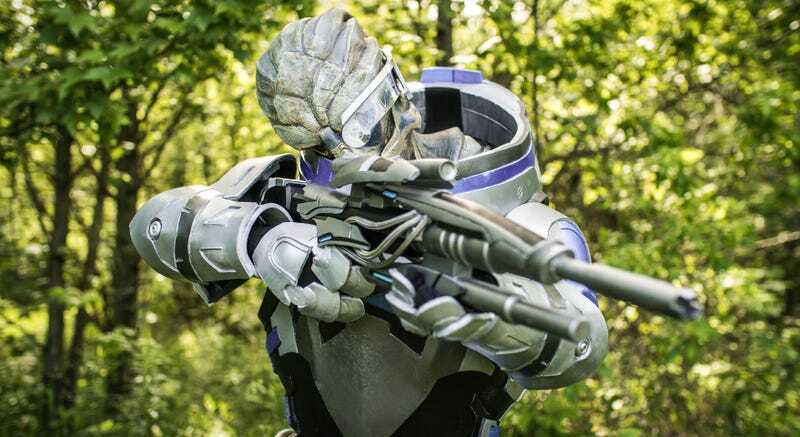 I&apos;ve seen some quality Garrus cosplay in my time, but never something this damn impressive. Cosplay by Kevin Martell, mask sculpt by Julianne Ramanujam, photos by Jonathan Ramanujam.